Ten days to go and the time is running! When arriveing at Brändöns Fritidsby unload directly on the gras above the beach. Use the parking close to the beach when preparing your boat. You will find the car and trailer parking along the road about 100 meter forward. 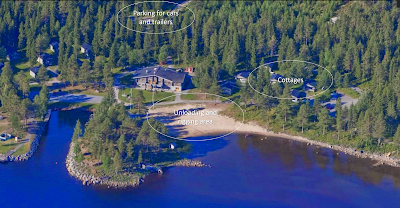 Brändöns fritidsby offers accomodation in nice 4 bed cottages just a few meters from the beach. Please use waterprotected/waterproof bags och sacs.